Situated in Miami's Upper Eastside, IRONSIDE is a vibrant, mixed-use urban center developed by visionary Ofer Mizrahi, with 60+ design showrooms, event spaces, pop up studios, playrooms and galleries. IRONSIDE is a uniquely landscaped environment lined with Rainbow Eucalyptus trees and dotted with South Florida native honey bee and butterfly patches, all part of the pattern language of pathways linking boutique shops with cafes, restaurants, and recreation. IRONSIDE is a sustainably crafted creative collective of placemaking (an ongoing process) for the human scale (pedestrian), honoring the historic context of the community. As a SITES-certified applicant with the United States Green Build Council (USGBC), IRONSIDE implements measures to protect eco-systems, provide wildlife habitats, reduce energy and conserve water. Park, walk, meander and discover - from the breezeway to the piazza, to the bocce court and more, at IRONSIDE. 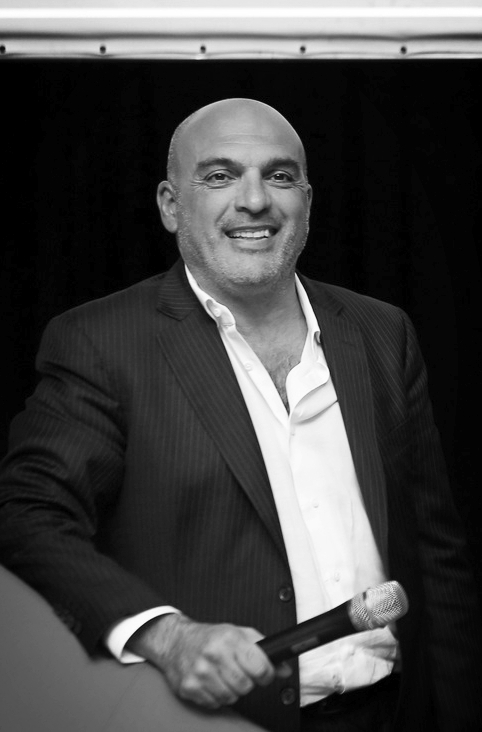 Ofer Mizrahi has been an active leader in Miami product and place making development projects for over 20 years. Mizrahi has an eye, a vision, a forward thinking style of frame and format. His first interior design project was a "future forward" product showroom in the Miami Design District before it was considered a safe place to frequent, and which is now known for luxury retail. Shortly thereafter he revitalized a "brownfield" warehouse facility in an adjacent neighborhood to be a focal point for art exhibits and events. That area is now known as Wynwood. Always looking ahead, Mizrahi then set his sites on the the warehouse district in Miami's Upper Eastside and launched the MIAMI IRONSIDE project to form an enclave, a European-style village complex alongside the railroad. IRONSIDE is an ongoing organic development which caters to the community and the cultural shifts in art, architecture and design trends. Mizrahi has been honored by March of Dimes Building Our Community Awards for “Community Excellence in Architecture & Engineering,” and referred to by The Wall Street Journal as a pioneer in the community with regard to “seeing the value of eco-friendly construction materials, and in so doing, he encourages businesses to set new standards in green architecture and design." In a Wired Magazine interview (2014) with architect and industrial artist Ron Arad, he was quoted as saying about Mizrahi, " is it an oxymoron to say he's an idealistic developer? Anyway, he might be one." Florida Sun Lifestyle Magazine's article Destinations (2017), refers to Mizrahi as "Maestro" and "a visionary of the first hour." With circular economy strategies in mind and place, Mizrahi has his finger on the pulse. Miami IRONSIDE is more than just a creative community, it's a mixed-use complex with amenities - restaurants, recreation, retail shops, showrooms, galleries and more. IRONSIDE is also home to over 60 creative industry businesses. IRONSIDE is committed to curating the experience, to align the creative vision with the passion for destination place making. Our art and design throughout to include the sustainable garden project is an ongoing effort to promote and engage international talent and best practices, providing a platform to exhibit work in a unique setting. The IRONSIDE Arboretum hosts the largest private collection of Rainbow Eucalyptus trees in the region and the entire campus is lined with Poincianas, Live Oaks, Coconut Palms and more. Perimeter landscaping includes Climbing Jasmine, Creeping Fig and multi-colored Bougainvilla at every turn. The IRONSIDE gardens showcase a self sustaining natural habitat for bees and butterflies. Enjoy the experience of being immersed as you walk through the gateway entry to the piazza and bocce court. Enjoy a congregation of Monarch, Zebra Longwings, Gulf Frittillary and Giant Swallowtail butterflies flittering about. Specialty plantings include: Milkweed varieties (Monarch host plant), Corky stem (Zebra Host plant, native), Wild coffee (Native), Scorpion tail (Native), Gaillardia (Native), Sea ox-eye daisy (Native), Beauty berry (Native), Wild sage (Native), Coontie (Native), Pineland Croton (Native), Tickseed (Native), Pineapple thistle (Native), Tropical sage (Native), Beach Verbena (Native), Blue love grass (Native), Bush Aster (Native), Sweet Almond Bush, Aloe, Giant Passonfruit, Edible Passionfruit, Citronella, Rosemary, Basil, Lemongrass, Cranberry Hibiscus. Installation by French design duo MEL & KIO, poetic wall artist - Noted forerunners of wall design, the duo created graphic, poetic patterns to leave as a permanent installation in the COVERINGSETC showroom. At Miami IRONSIDE, we believe a truly global community shouldn't be gated or fenced in – it should seamlessly meld into its surroundings and that is exactly what we have created with lush foliage. As a park-like enclave, a hidden gem, IRONSIDE showcases exemplary sustainable design and infrastructure. One block from the City of Miami's Manatee Bend Park, IRONSIDE provides a landmark border for the area running 6 blocks along the railroad tracks in the historic Palm Grove neighborhood.